ONE FOR LUNCH: SEE-SAW has done something unusual with its 2007 Semillon Sauvignon Blanc: the Semillon component comes from the Hunter Valley and the Sauvignon Blanc from Marlborough in New Zealand – individually iconic regions for these two varieties. The resultant wine made by Andrew Margan and Hamish MacGowan is one of those wonderfully food-friendly drops that explodes in the mouth with fresh savoury and citrus flavours; another great buy at $19.95 and a good partner with Asian-style seafood dishes, a shellfish platter, or Spanish paella. ONE FOR LUNCH: ANOTHER South Australian maker, Bremerton in cool climate Langhorne Creek, has come up with one of its best-ever Tamblyn label reds, a carefully crafted blend by Winemaker Rebecca Willson of Cabernet, Shiraz, Malbec and Merlot that’s she’s brought together in a soft, mouth-filling wine loaded with dark-fruit flavours and soft tannins. Rebecca and younger sister Lucy, who is company Marketing Manager, suggest cellaring this one for the next three years, but we’d recommend paying the $18 asking price and getting into it now with a good mixed cheese platter. COONAWARRA’s Katnook Estate label has long been recognised as one of the region’s super-premiums, covering wines of enormous intensity and flavour, and usually available in only limited quantities that are much sought-after by aficionados – particularly the label’s reds. Don’t think, however, that these are deliberately dumbed-down wines: Wayne and his team have maintained all of Katnook’s full-on flavour and elegance with the six varietals under the label – a Cabernet Sauvignon, Shiraz, Chardonnay, Merlot, Sauvignon Blanc and Sparkling Shiraz – that are on the shelf at a good-value $19.99 each. 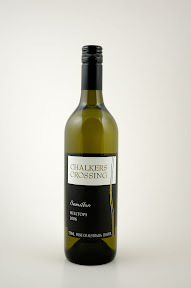 And although Coonawarra’s reputation lays with its reds, the Katnook Founder’s Block 2005 Chardonnay is one that will appeal to white wine lovers: its silky smooth texture is supported by generous peach, melon and grapefruit flavours, and there’s lively acidity. A good everyday drinking wine to match it with pasta served with a pesto of blended basil, garlic, pine nuts, Parmesan cheese, olive oil, salt and pepper. ANGULLONG Station and Vineyard at Orange in the NSW Central West has garnered itself something of an outstanding reputation for fruit it’s provided on contract since the turn of the century to many of the top names in the district’s winemaking industry. 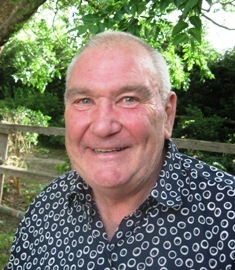 Following its successes in that field, in 2003 it decided to launch its own A Wines label, and has now followed this with a Fossil Hill range that reflects the adventurous spirit of its owners, the Crossing family: they’ve opted for non-traditional Pinot Gris, Viognier, Sangiovese and Barbera from vines that have taken to the unique 450-million year old soils of Angullong like the proverbial duck to water. The Crossing family – directors Bill and Hatty and their sons, James who is Vineyard Manager, and Ben Director of Sales and Marketing – bought Angullong Station on the lower slopes of the ancient Mt Canobolas volcano in 1950, adding the vineyard in 1998. And interestingly they use several local winemakers who are overseen by well-known Orange regional guru, Jon Reynolds to make these wines, outstanding of which among their Fossil Hill range is the 2006 Pinot Gris. This is a variety that’s gaining strong following amongst real wine buffs looking for that something a little different, the Fossil Hill Pinot Gris a wine with an eruption of rich pear and pineapple flavours, crisp acidity, and nice pear and citrus aromas. 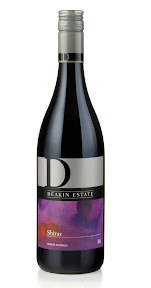 ONE FOR LUNCH: PIE-eaters rejoice: Deakin Estate’s released a 2005 Shiraz that’s a superb red for next time you put a gourmet beef pie on the table – and better still, it costs just $10. Fruit from the company’s vineyard at Red Cliffs in North West Victoria gives this wine a rich palate of dark berry fruits and fine tannins, with lovely spicy fruitcake, raisin, plum and chocolate aromas.